We clean the beer lines every Wednesday to keep our most treasured product (mmmmh…beer!!) in optimum condition. 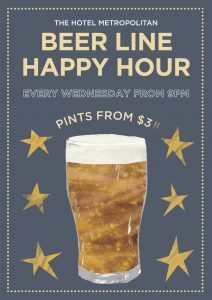 So every Wednesday from 9pm, you get it cheap until it’s all gone.